I absolutely love Orange Julius. It isn’t often we get out to buy a real Orange Julius Smoothie as there aren’t many locations near us, so we decided to try this Copycat Recipe. I am so glad we did! It is super yummy and so much cheaper to make your own then to buy the real deal. 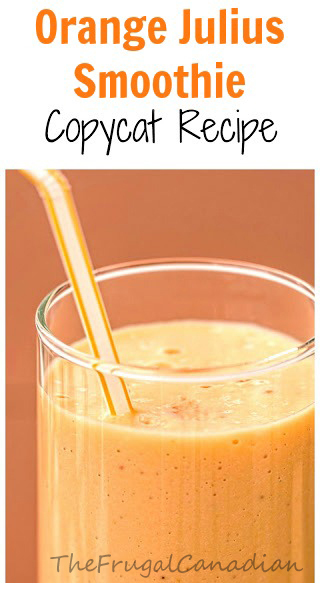 Mix all of the ingredients in a blender until smooth and enjoy!